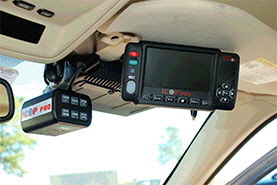 Our 50+ years of experience, maintains that we deliver great products, services, and stand behind our work. 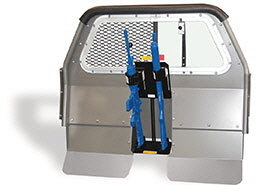 We have a large network of manufacturers and vendors we work with on a daily basis. 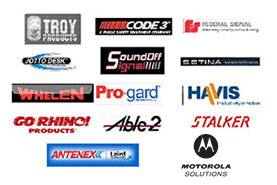 B & C represents some of the finest manufacturers in the industry including Code 3, Motorola Solutions, Jotto Desk, Havis-Shield, Setina, Pro-Gard, Go Rhino, and Whelen, just to name a few. 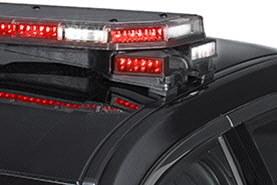 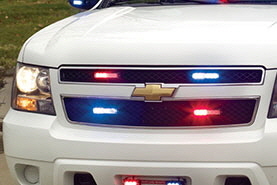 Whether you're looking for light bars, warning lights, consoles, prisoner cages, gun racks, push bumpers, in-car video, computers and mounts, or spotlights, chances are, we can help you.